1Take up to $6000 off the purchase of a 2019 Cadillac Escalade or Escalade ESV by participating in the Cadillac Select Model Bonus Cash Program. Restrictions apply. Only available on specific vehicles/stock numbers. Contact dealer for more details. Not responsible for typographical errors. 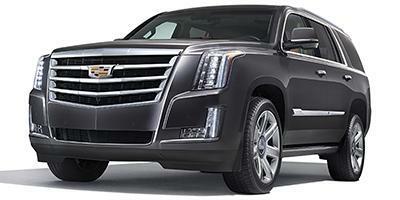 Must take delivery by 4/30/19 2Take up to $3000 off the purchase of a 2019 Cadillac Escalade or Escalade ESV, Restrictions apply. This offer is for every Cadillac owner who currently owns or leases a 2003 or newer Cadillac passenger car or light duty truck and purchases one of the eligible models. Only available on specific vehicles/stock numbers. Contact dealer for more details. Not responsible for typographical errors. Must take delivery by 4/30/19 3Not compatible with special finance, lease and some other offers. Take delivery by 04-30-2019.